Join our Fundraising & Development Manager Cynthia Roomes in a moving tribute to her late mother as she shares her thoughts on the Windrush Legacy for Black History Month. The inhumane and barbaric treatment of black people during the transatlantic slave trade has been well documented. Forcibly taken from their homelands in Africa, and transported across the ‘new world’ as slaves, millions of black people died in the process, and millions more were held in captivity for hundreds of years. The details of this horrific story of human tragedy must never be forgotten. Fast forward to 2018, the prevalence of racism, intolerance, bigotry, and prejudice in modern day society is undeniable. Black History Month is a very visible and high profile event, a framework which helps us to recall the negative and positive experiences black people went through, and are still going through. 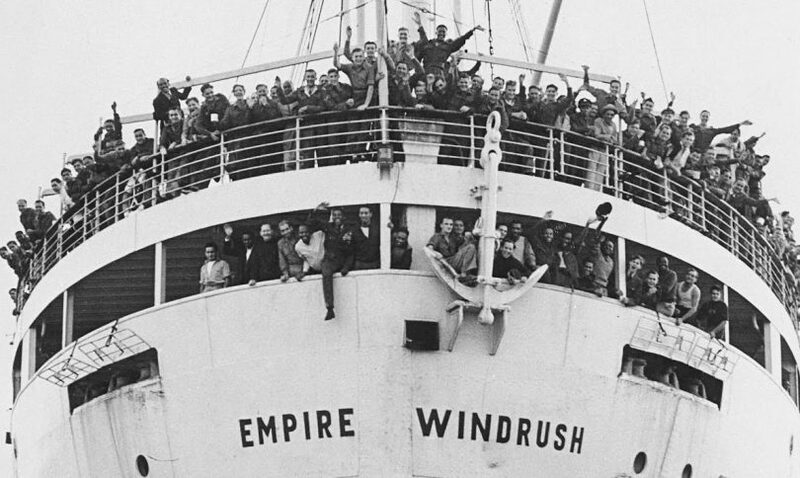 The Windrush Scandal is a prime example, hundreds of black people, British citizens, have lost their homes, their livelihoods, their access to services, their pensions, some have lost their dignity, and the comfort of their loved ones. This has been needless hardship and suffering. We can all learn from these experiences, no matter what colour we are, and we can utilize that learning to create opportunities for a more progressive and cohesive future. So – I am sure that Marcus Garvey (one of my past black heroes) would be proud to know that Stormzy (one of my current black heroes) has provided scholarships for two talented black students (future black heroes) who have now enrolled at Cambridge University. My parents – Leonora (nee Roomes) and Sidney Ashley, returned home to Jamaica in 1985. They got married when I was about 16yrs old, which was nice because that meant I got to go to their wedding!!! ‘Mama Cry Mama Cry’ is a poetic tribute to my Mother, who along with my Father, was one of the original Windrush Generation. ‘Dada’ passed away in 1990 at the age of 77. He had spent nearly three decades working as a carpenter master builder for Lambeth Council. ‘Mama’ passed away in 2013 at the age of 83. She was an NHS hospital worker for 26 years. ‘Mama Cry Mama Cry’ tells the story of what black people and their children faced when they first arrived in Britain during the 50s and 60s, and how they triumphed over adversity. 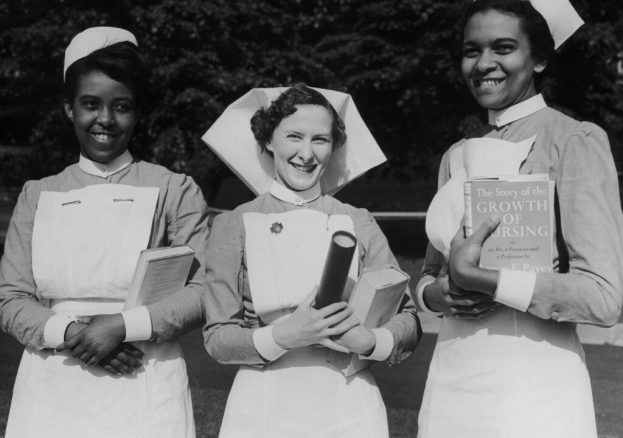 Black people have made outstanding contributions to British society, from before World War 1 to the present day. How outrageous and ungracious it is, that today hundreds of people have been adversely affected by the Windrush Scandal and the governments failure to recognize the legal status of people who have been British citizens for decades. I am so sad that they have not been able to enjoy the kind of retirement my parents had, and worked hard for. Black History Month provides a unique and precious window of opportunity for all people of all colours to come together and acknowledge these experiences, and to celebrate the contributions and achievements of black people – all over the world!!! Black History Month remains an important landmark in the cultural calendar of human history, and long may that continue. I am proud to be an ascendant of the Windrush Generation, and through my poem ‘Mama Cry Mama Cry’ to join The Diana Award in celebrating the Windrush Generation contributions to British Society as part of Black History Month 2018.
high wages unlikely to fall. mama was missing the beach and the sand. then she find herself in the same situation. the few shilling she save must can educate them. when the youths reach the mainland. with mind control they tried to hypnotise. Some loose through they choose to play the game. Some win through they know that all is the same. when I know that you cry.